You are here: Home / Thatched House: Find out how far the Thatched House will go to ensure dogs are as happy as human customers! 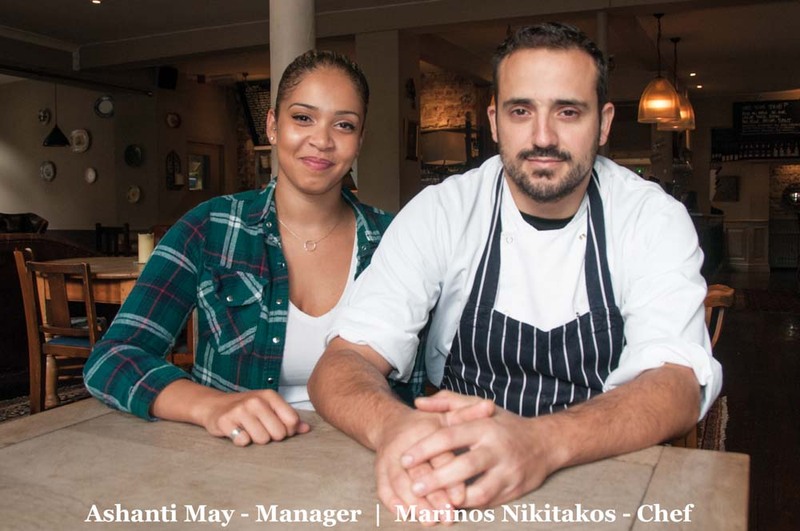 As the manager of The Thatched House in Ravenscourt Park, Ashanti May prides herself on ensuring the pub feels home from home. Anyone having walked in recently will recall being greeted by her friendly staff, proving she is at pains to pick some of the best in the catering business. But occasionally her determination to ensure punters can relax as much as they want has led to some entertaining incidents. Picture the three exceptionally comfortable studded leather chairs that surround the huge fireplace in what are the most coveted seats in the house. So, who are their main customers? ‘We get couples, families and the occasional famous person coming here for a drink. But, we like to think of ourselves as being at the centre of the community, so we also have local school meetings and corporate events. ‘But, because it’s a big pub, we also get used for music events – we have a regular opera evening and live jazz. And, we’ve also been used for wedding receptions, birthdays and even wakes. The pub, a stone’s throw from Ravenscourt Park, means many dog walkers pop in for a drink. Not wanting the dogs to miss out, Ashanti also offers them a non-alcoholic drink called Bottom Sniffer, a fitting reward for a tired pooch. For hungry humans, Sunday roasts and moules marinieres are particularly popular. The chef specialises in using seasonal produce, and changes the menu each week. They also offer lots of gluten-free and vegan dishes. And throughout December, the pub will be offering a special Christmas party menu for just £32.50 (think wild mushroom soup or Foie Gras, to start, then Norfolk turkey, pigs in blankets, sprouts and chestnuts, or duck, fondant potatoes with a port and orange jus followed by Christmas pudding or a chocolate tort). Then anyone wanting to stay out of the kitchen on Christmas Day could consider the Thatched’s £57.50 Christmas Day menu. Food – or your first glass of bubbles – is served from noon until 3pm. The menu includes celeriac soup, potted crab rarebit or a rabbit saddle wrapped in Parma ham to start, followed by Norfolk turkey or pan fried cod or polenta with wild mushrooms, then traditional Christmas pudding or chocolate sponge rolls, with coffee and mince pies to guarantee that bloated feeling. For business, supply, and service enquiries regarding The Andover Arms please contact Thomas Gavaghan on +447747766808.